Thank you for taking the first step towards connecting with the Washtenaw County Friend of the Court online. To get started with your online review, you will need your case number. If you don't know your case number, or are unsure if you have an active case, follow this link to the 22nd Circuit Court's case search page and click the 'Civil, Family & Probate Case Records' to start your search. If you find cases ending in DM, DS, DP, UE, DC, DZ, UN, or UM, return to this page to get started with your request. Washtenaw Friend of the Court wants to help! Situations change. Life happens. Now what? The Washtenaw County Friend of the Court wants to help you get in the clear and stay on track with your Family Court responsibilities. Through this site, you will be able to work directly with the Friend of the Court to get the information you need to resolve an outstanding warrant, find out your options for getting back on track, request changes to your child support order, and get important information on your options. Warrant Resolution Not sure if you have a warrant? The Friend of the Court will check for you and let you know how to resolve your warrant so that you can get on with life without fear of being arrested. Child Support Compliance Assistance If you have fallen behind on child support payments, we want to help you get back on track. We can help you change your child support order or explore options for temporary relief. General Requests for Information If you don't know what you need that's OK. Simply tell us your situation and we'll get back to you with options. Start by searching to see if you have an existing case - click HERE to go to the court's case search page. Please note - this website is meant to be a safe space for you to communicate with the Friend of the Court. The court does not know if you search for a case nor will they know your location. If you find any cases that end with the codes DM, DS, DP, UE, DC, DZ, UN or UM - write the case number down. You can then submit a request for information for one or several existing cases. It’s free and you can do it at your convenience from home, work, school on your phone, tablet or computer. It’s not. The end result is the exact same as if you had come to the courthouse and met with the Friend of the Court, the only difference is you don't need to show up in person. Everyone needs help at one time or another - and we want to help. Whatever has happened in the past, we want to work with you so that you can clear up your account and concentrate on having a good relationship with your children. The Friend of the Court will get back to you! The Washtenaw County Friend of the Court, located in Ann Arbor, MI, is pleased to be working with you to resolve your issues. Read more about the Community Outreach Program. We have answers. 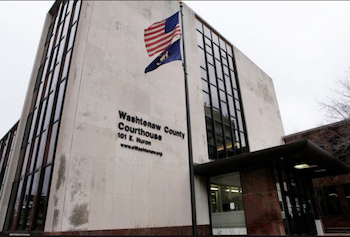 Read more about Washtenaw County Friend of the Court, the request process, and what options are available to you online.